“Luke is the perfect boyfriend: handsome, kind, fun. He and Emaline have been together all through high school in Colby, the beach town where they both grew up. But now, in the summer before college, Emaline wonders if perfect is good enough. Dessen’s stories are wonderful examinations of coming of age. They’re about the summer between Grade 12 (except that it’s America, so I guess I mean senior year) and the rest of your life. It’s a great time to explore, because it’s fraught with possibility, heavy with nostalgia, and always, inevitably, on the cusp of great changes. Dessen uses different characters in similar settings to look at the ways in which people face this time, and does so very well. I’m definitely looking forward to reading her next novel! Have you read any Sarah Dessen? Who’s your favourite growing-up author? Tell me what you’re waitin’ on this fine Wednesday, why don’cha? 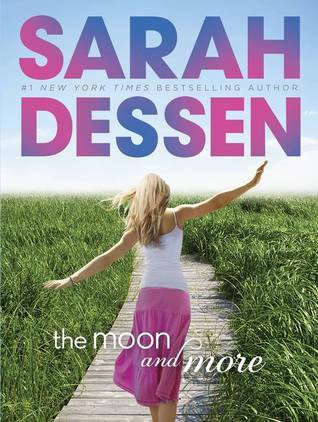 I haven’t read any Sarah Dessen yet but I would really like to. I’ve got a few of her books on my wishlist. It sounds like a cute beach read.